Photos of Lisa Aitken (Scotland) that have been posted on Squash Source over the years, with links to the squash racket and squash shoes used in each photo, where possible. For Lisa Aitken’s full player profile and match history, visit squashinfo.com. 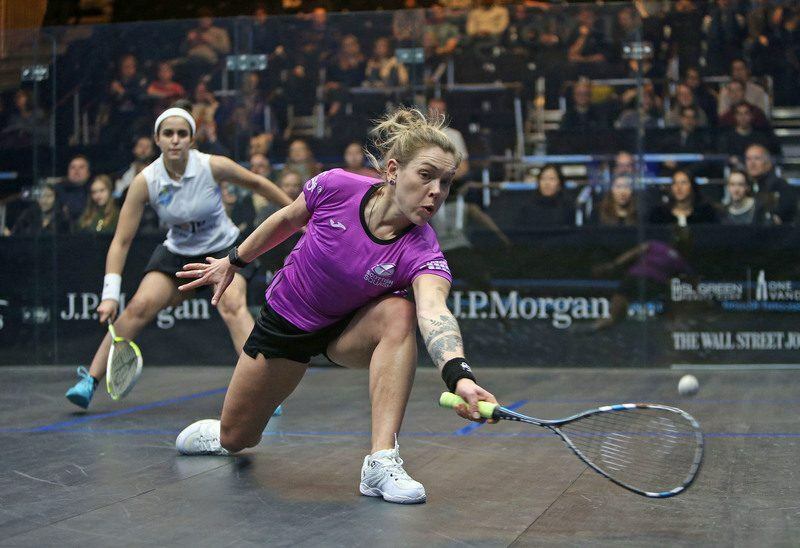 Correction, Lisa Aitken has Eye Rackets shoes, you can see the branding on the side and also on the website she is sponsored by Eye for shoes.